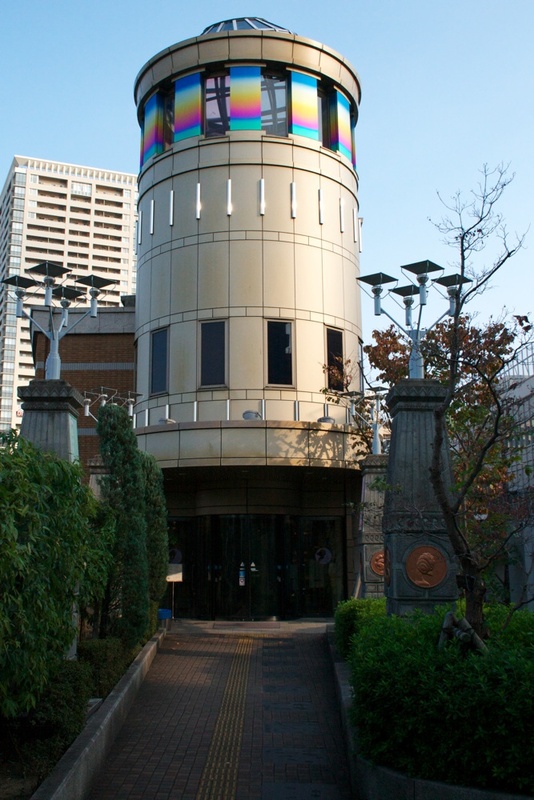 My last two days were spent in Osaka going after two things, checking out the Osamu Tezuka Museum in Takarazuka and giving Nipponbashi a thorough search for something I wanted to get myself and as gifts for others. Travelling out to Takarazuka was intersting at least. 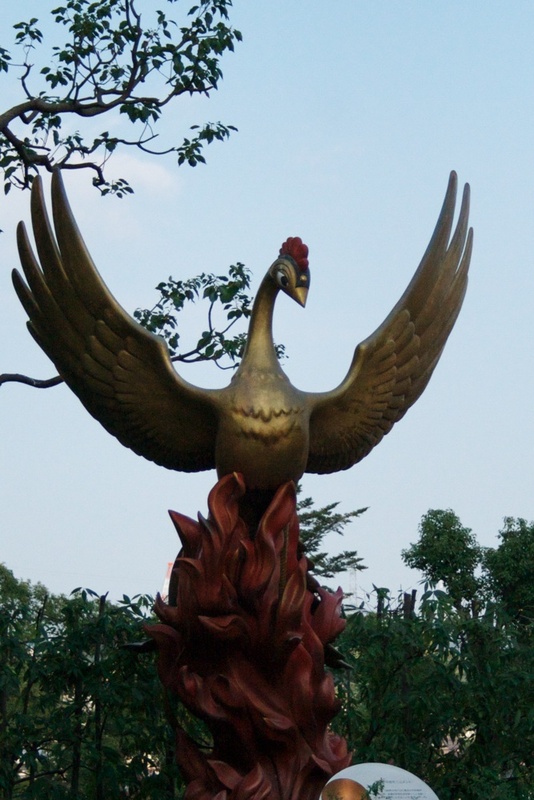 It sits near to the outskirts of the city major and for the most part it seems like a nice sleepy part of town. Reading about it later, Takarazuka is a bedroom community, meaning that most of the people who would normally live here, work in Osaka proper or at least closer. To get my bearings and finding the muesum, I walked along the Muko river, which lead me to the bridge and past the famous Takarazuka Grand Theatre, home of the all female Takarazuka Review. 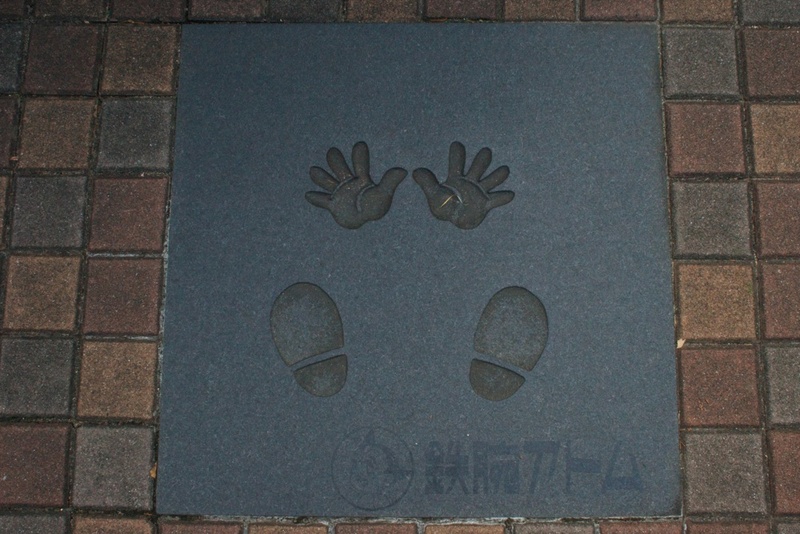 And just past there was the Osamu Tezuka Memorial Museum. 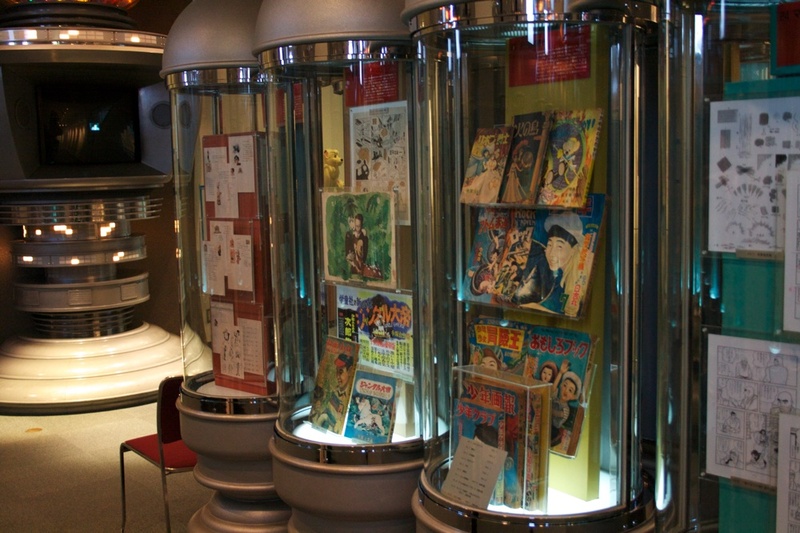 For those who do not know about the history of manga – Japanese comics – here’s a brief note. 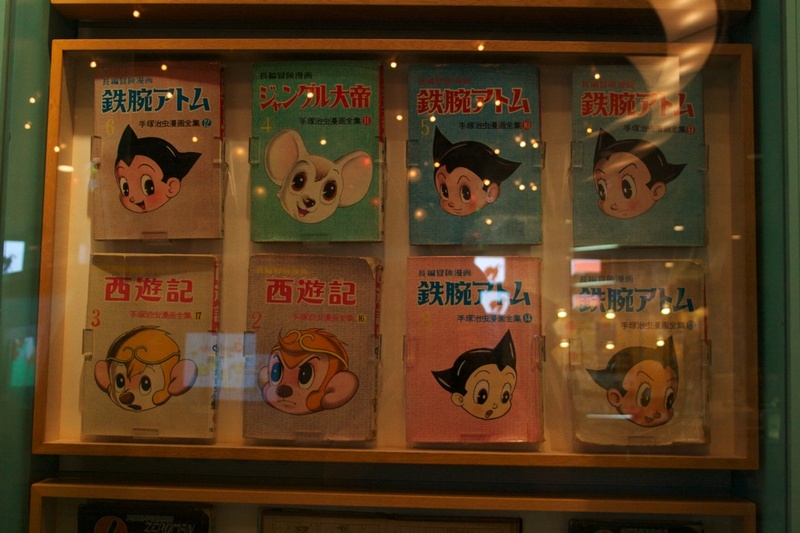 Osamu Tezuka is considered the father of manga, developing the style that would echo through decades of Japanese comics and animation. 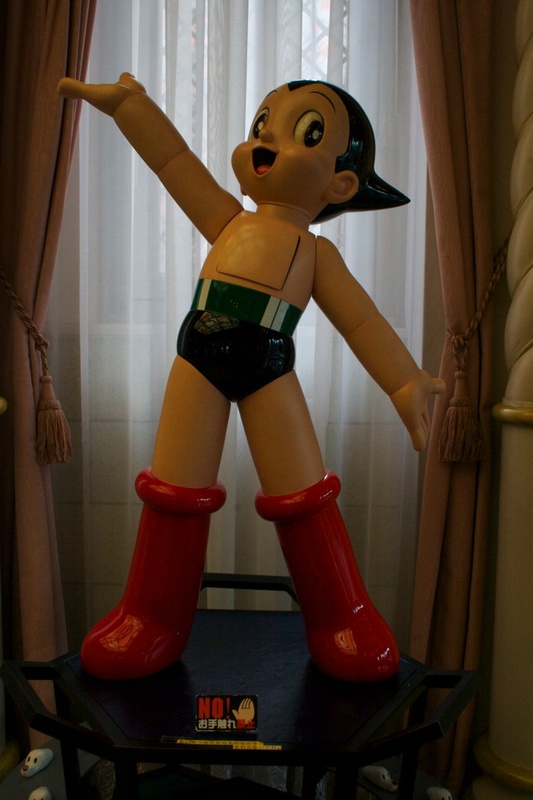 Among his most famous work, at least to western audiences is Atomu, or as we know him, Astroboy. 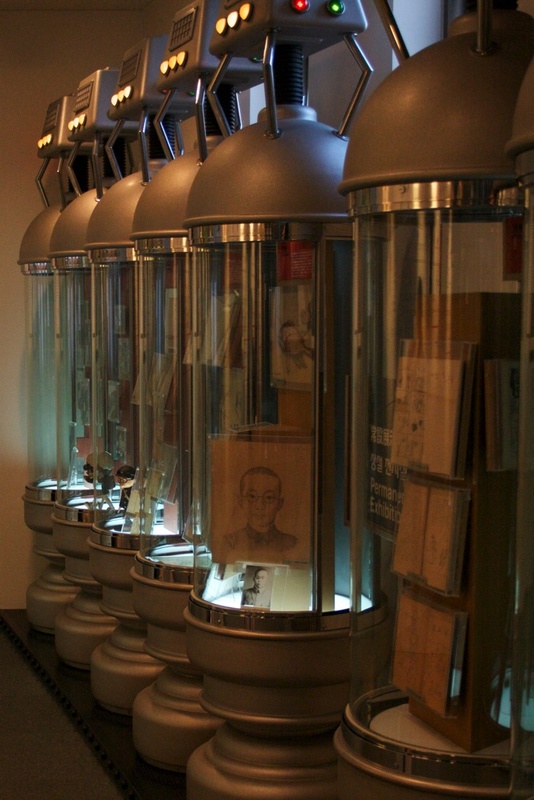 The museum is small, but it is interesting. 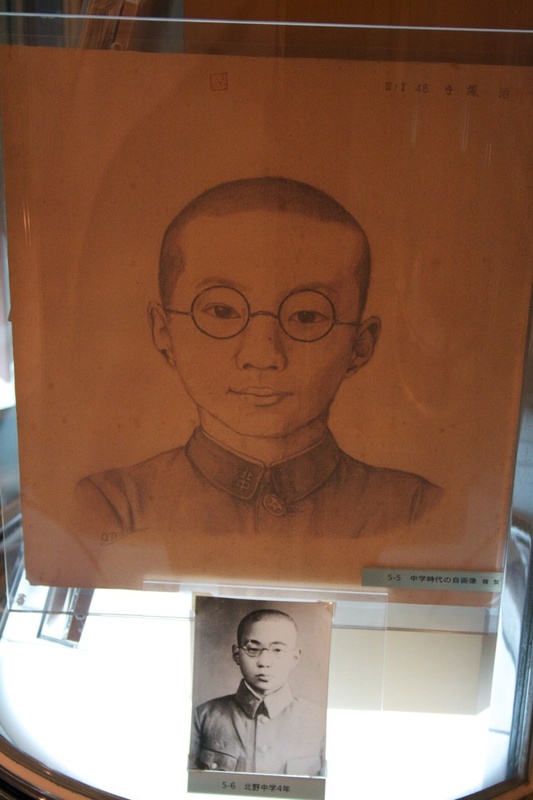 Tezuka was an adapt at drawing at a young age, penciling a fairly good self portrait in his teen years. My only criticism was that the gift stand could have gotten some figures of Atomu. It would have been nice to walk away with something like that. That night I met up with Jon Monster again and he showed me around Nipponbashi and the toy stores there. Afterwards he took me to another izakya which was a bit better than the first from Tuesday. Then weaving through the labyrinth that seems to be this city, we ended up at a sexshop/bar called Farplane (warning: NSFW, my eyes! ), there I had another glass of shochu and then pretty much called it a night, managing to catch the last train back to the hotel. Friday rolls around, it’s my last day in Osaka and all I can think about it looking for things to get, mostly to find gifts for friend’s birthdays that I have missed over the last month. This was mostly due that i was so focused on gathering cash and rapidly planning my trip that other things slipped through the cracks. So I end up spending about five hours on my feet with little food. I was to meet Jonathan again. Apparently he was running late and we ended up missing each other. I’m honestly not sure whether we got our wires crossed or we just didn’t see each other. I wandered around Shinsaibashi for a while until i stumbled upon the famous Rock Rock Bar where I had a couple of drinks, drew a bit and had a chat. There was Maakun, who tended the bar, and a American named Thomas who worked at the Universal Studios as a stuntman (and was between portraying the Terminator and Santa Claus). Maakun asked me about my time in Osaka and what I saw, and he did a damn fine job to accomodate my lack of english. Maakun did a sketch in my sketchbook for a manga called Hunter X Hunter that I should check out. Thomas talked about his upcoming work as Santa and that it was extra pay but it involved putting on a heavy fat suit. Shortly after that, I hopped on the train back to the hotel to finish packing and then get ready to check out to Fukuoka aboard the Shinkansen.